Does Your Pool Have Green Or Black Algae Stains? 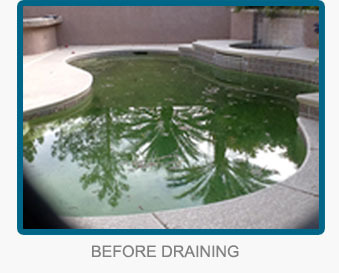 SoClean is expert at removing green and black algae from your swimming pool or spa. 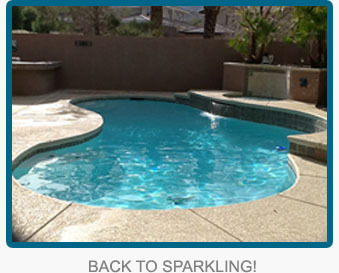 We offer service in all of Clark County, including: Las Vegas, North Las Vegas, Summerlin, Henderson & Enterprise. 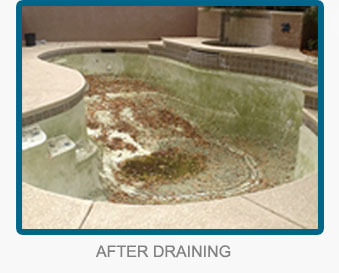 After SoClean has acid washed your pool and rebalanced the chemicals, your pool will look new again! Why do I need to acid wash my pool? The plaster lining of an in-ground pool is porous. These pores allow algae to grow and develop, and will also cause dirt or calcium to remain lodged in the pores of the walls and floor. This can create stains in the plaster that will spoil its appearance. When we inspect your property, we will determine if an acid wash is the best solution to your problem. When algae exists in the pool, sometimes it is better to carry out a chlorine bath. This is why we always inspect the pool to identify the best solution to your pool problem. How long does it take to acid wash my pool? The process involves draining the pool, which is usually done the day before, then our team will carry out the acid wash and start filling the pool and balancing chemicals once the wash is complete. How much does it cost to acid wash my pool? 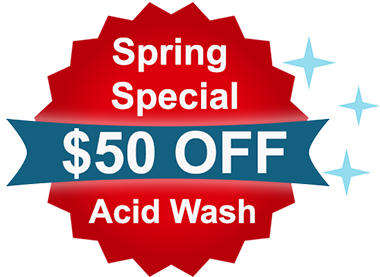 The cost of an acid wash is dependent on the size of the pool, if there is a spa attached, or if there is a high level of staining. Give us a call today and the owner, Jim will schedule an appointment to inspect your pool and offer a no obligation quote.